Do you want to offer your users the advantage of search term highlighting? Our server-side PDF highlighting tool is your easy, cost-effective solution. 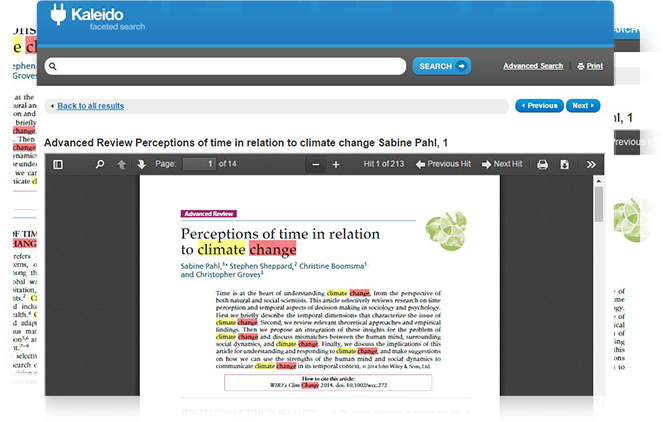 Since the introduction of Adobe Reader X, native search term highlighting support was removed from Acrobat products. PDF Highlighter solves this problem using a server-side application, eliminating the need for any Adobe Reader plugins. Gone are the headaches associated with supporting plugins for different browsers, multiple versions of Acrobat, and operating systems. The solution runs completely on the server, and is available for installation on your servers or, as a hosted API service – eliminating the need to install any software. Compatible with Solr, dtSearch, Rocket NXT and other search engines. Supports Boolean AND, OR, NOT, phrase, proximity, fuzzy search parameters, etc.